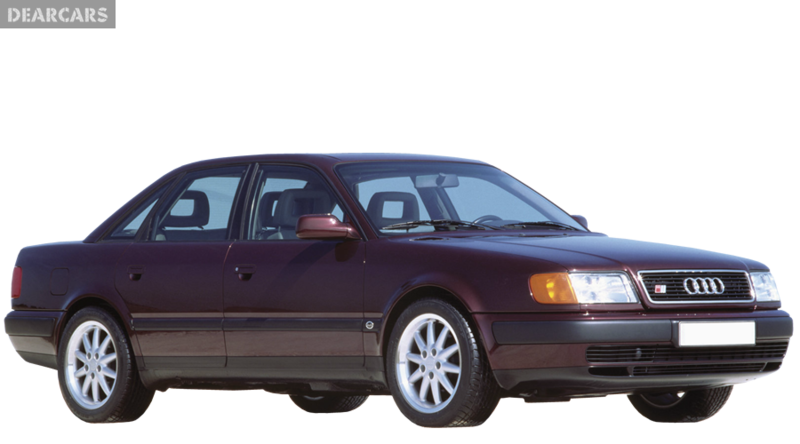 Manufacturing modification 2.0 E of car models 100 was launched in 1988 by Audi, and lasted until 1991. The weight of the car is 1.2 tons and a length of 4.8 m, It is formed as sedan with 4 doors, and may be placed in a 5 person including the driver. «100 2.0 E» car with a 3-speed automatic gear shift is fitted to the front wheels. This car can speed up for 12.6 s to 100 km/h, with a peak speed of 186 km/h, thanks to a 5-cylinders petrol engine with a «multipoint injection fuel system», which generate a peak output of 116 horsepower at 5400 rpm. Gas tank volume of this auto is 80 liters of petrol, therefore when normal fuel rate is 9.4 liters per 100 km, what allows to go about 852 kilometers without refueling. The front wheels of this automobile have ventilated disks brakes and fixed to the undercarriage using suspension «MacPherson, independent, coil springs» and equipped with sway bar. Rear wheels have drums brakes and fixed to the chassis using suspension type «Unknown, coil springs». Tires have the next size - 185/70HR14. Audi 100 is not certified for Euro NCAP crash test. This automobile does not have passive and active safety.